Reducing the amount of waste we produce and send to landfill will be almost impossible unless households are incentivised to do the right thing. Efforts to introduce a pay-by-weight system which rewards "good" behaviour have been stymied by a lack of preparation, a failure to inform the public and a very real sense that some operators appear to be penalising their customers for their insistence in engaging in below-cost selling for the past number of years. It's not as if the concept of 'polluter pays' is new, foisted upon an unsuspecting public. 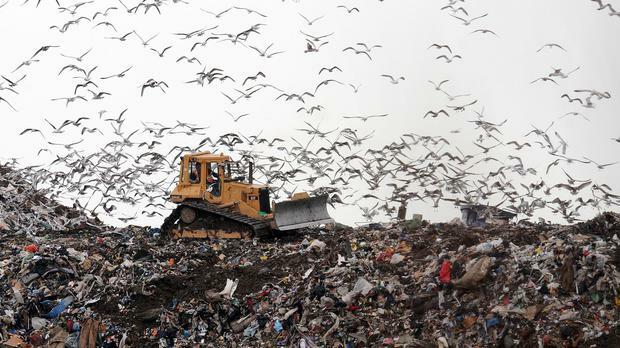 It was set out more than 40 years ago in the 1975 Waste Framework Directive. In fact, since 2005 all waste collectors have been required to implement a pay-by-use charging system, but the problem is there are so many variations. There's pay-by-weight, and pay-by-lift. In some cases, annual flat fees based on the amount of waste produced have also been levied. If you pay by lift, or by way of an annual flat fee, there's little or no incentive to really make efforts to recycle. What the pay-by-weight system aims to do is reward those who segregate their waste so that as little as possible goes to landfill, and the bulk is recycled or composted. A 2011 reported funded by the Environmental Protection Agency collected data from all 15 local authorities which collected waste, and a number of private operators, and analysed waste arisings from more than 792,000 households. It found that the highest recycling levels arose from the pay by weight system, with a 33pc recycling rate compared with 24pc for other systems. Several collectors informed researchers that the system was "not expensive to run" once start-up costs were dealt with. It also addressed the lack of participation by local authorities in the sector, noting that charges for domestic waste were abolished in 1977, but that councils subsequently found themselves "short of funds" for waste management. Other reports suggest that councils were forced to dip into budgets for other services to make up the shortfall. It has been suggested that the waste market is worth around €250m a year. That implies the State would have to dig deep to find the money to fund a service. Of course, even if it did engage, it's not to say that local authorities would be any good at it, or that charges would fall - a 2008 report from the Ombudsman noted a "wide" gap between the cheapest and most expensive council charges in 2006, which ranged from €192 to €516. By comparison, private sector charges ranged from €200 to €450. Many councils also have a history of not collecting monies owed by customers. Back in 2008, Dun Laoghaire Rathdown County Council was owed almost €27m in unpaid charges. A public information campaign should have begun sooner than last month, and companies obliged to publish their proposed charges at an earlier stage. It's hardly a surprise that the new system now looks set to be kicked down the road, to be fought over another day.